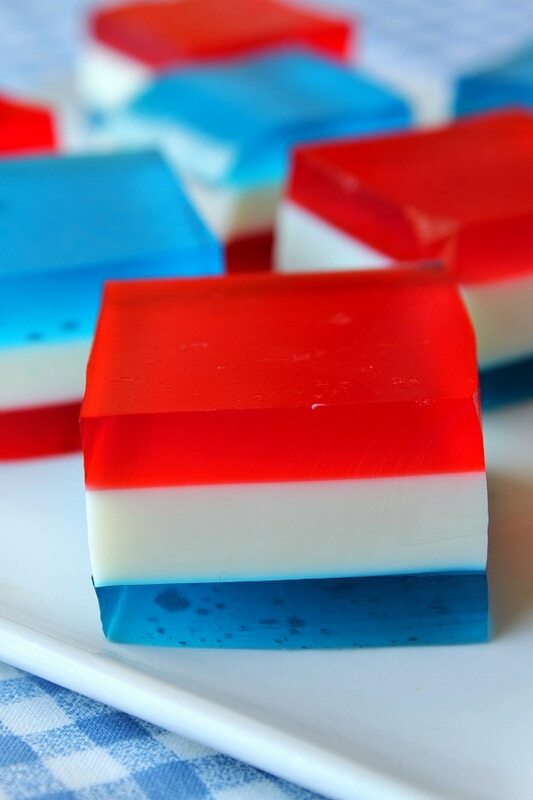 Here’s the recipe I’m sharing on Parade.com this week: Red, White and Blue Finger Jell-O. I’ve been making these little treats for years now, and they are always, ALWAYS a bit hit at a 4th of July party. You can pick them up and eat them, and everyone just ooohs and ahhhs at the festive layers. Google Reader…is leaving us. For those of you who follow by email or just stop by on various days of the week to check in, you are fine and nothing will change. For those of you who follow RecipeGirl via RSS feed and use Google Reader to do so…it’s probably best to switch over to another feed reader in the next few days to avoid losing all of your blog subscriptions! Some Google Reader alternatives that I’ve tried out are Bloglovin and Feedly. They both have easy options for transferring all of your subscriptions from Google Reader. I’m using BlogLovin, but I’ve heard that people are really happy with Feedly too. Smoothie lovers!!! 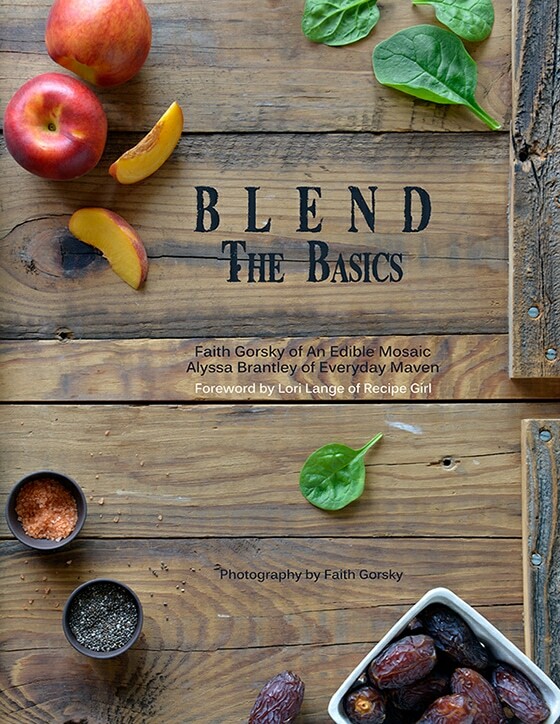 > here’s an e-Book you need to pick up: BLEND: Artisanal Smoothies for Food Lovers by Faith Gorsky and Alyssa Brantley. BLEND actually comes in two e-books- the first e-book is Blend: The Basics, which gives tons of tips and tricks to help you make the most of your smoothies, including how to wash fresh produce, flash-freeze fruit, make sure your smoothies come together as quickly as possible without sacrificing their artisanal flavorn (it’s FREE to download through July 5th). The second e-book is called Blend: Artisanal Smoothies for Food Lovers, Summer Volume 1! It’s a compilation of 25 summer and fall-themed smoothies (each with its own full-page color photo! ), such as Gingered Apricot, Minted Strawberry Melon, Vanilla Fig, and Concord Grape + Greens. BLEND smoothies have a balanced flavor profile, whether it’s achieved through just a few super fresh simple ingredients, or a well-thought out combination of a pinch of spice and a dash of extract. You probably already have many of the pantry staples on hand, and if not, they can all be easily found in any health food store, as well as most regular grocery stores. Not only are all BLEND smoothies made with clean, easy-to-find ingredients, but they are also dairy-free, gluten-free, and vegan in most cases! The second fabulous e-book is just $9.99 – for more info and purchase info, go > HERE. The authors of BLEND are giving away over $1750 worth of smoothie-related prizes – there are 31 winners for the giveaway, there are multiple ways to enter. You can enter for a chance to win > HERE. On our move from San Diego to the Sierra Mountains a couple of weeks ago, I was letting Martha Stewart radio entertain me on our 9 hour drive. She shared that the absolute best way to clean stainless steel appliances (like a refrigerator) is Windex. I’ve had a stainless steel refrigerator for the last 10 years and I had NO IDEA. She shared that most cleaners made specifically for stainless have a greasy base to them, so fingerprints show up immediately. Apparently, Windex is much better! I can’t wait to try it out. For the hold-outs, the stragglers, the skeptics (not you! ), and the procrastinators… my book can be found at Barnes & Noble, if you’re the type that likes to walk into a bookstore and browse. And it can also be snatched up on Amazon.com. My hope is that you’ll cook and bake from it until the pages are dog-eared and tattered, and I hope your family gets as much joy out of the recipes as we do. Until next week… that’s all the gossip I can muster… ! Yum 🙂 those fudgesicles look perfect, I will have to swing by his blog! Great jello recipe! Thanks so much. It’s beautiful. In addition, thanks for the heads up about Google Reader. Lori, I love that festive Jell-O treat! As a smoothie lover, I must get my hands on that book! Love your posts where you share ‘stuff’. Your son is adorable and this jello looks great!! Hope you are enjoying your new home! I can’t wait to try the windex now too! Thank you so much for sharing about BLEND Lori!!!! I have to say, I am still mourning the loss of Google Reader – I have tried Feedly and Bloglovin and just don’t like either as much. Thanks for the reminder though because I need to remind my readers as well. 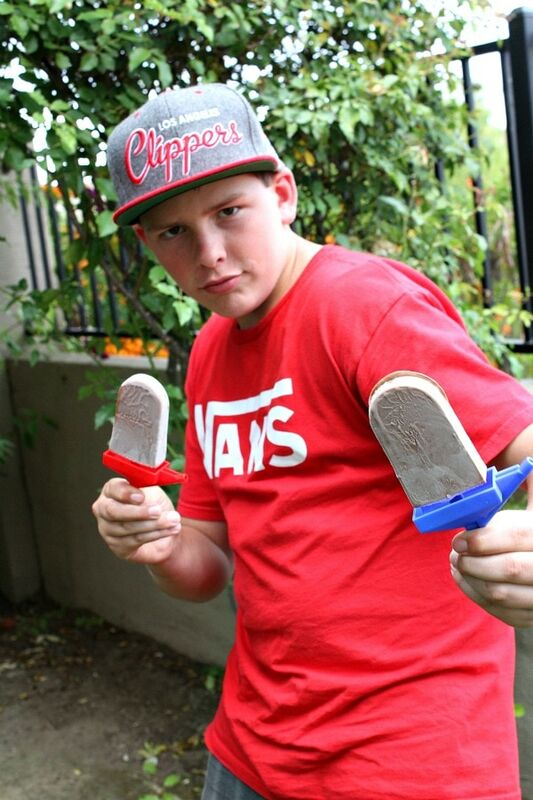 Those fudgesicles looks great and I need to get the straw popcicle holders for my son – where did you find them? You’re welcome! I found those silly popsicle holders just at my regular market in the seasonal section. The finger Jell-O looks great, as do the fudgesicles! 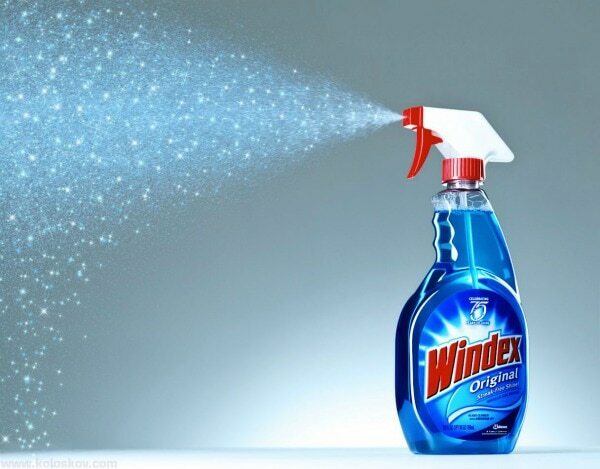 I have stainless and never knew you could just use Windex. News to me…gonna have to try it! Great shares, Lori! Hope you have a fabulous rest of the week! Oh my gosh, where to begin? So many good things in this post! First I have to say thank you so, SO much for sharing about our smoothie e-book! You are incredible!! The grilled chicken dishes look fantastic – I’ve been playing with the idea of a fruity sauce for chicken and after seeing that blackberry sauce, I’m sold! I never knew that about Windex – I will definitely try it though! Something I just learned last weekend (from my mama!) is that vinegar diluted with water is the supposedly the best way to clean glass. She’s told me before, but I never really saw it in action until we were cleaning the (filthy!) car and she suggested it – and it worked like a charm! The only trick is that you have to dry the glass with a dry cloth after wiping it down with the wet cloth (dipped in the diluted vinegar mix), otherwise you’ll end up with streaks (so Windex is definitely faster to use!). But she was right – that vinegar mix easily cleaned off everything. 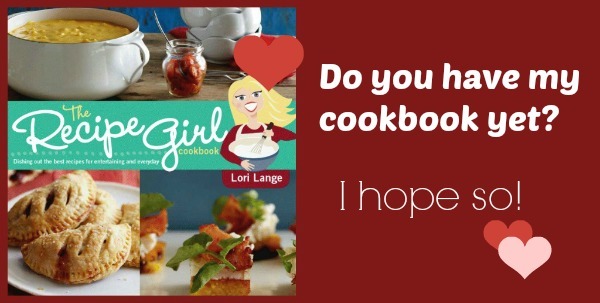 And I ADORE your cookbook! I cook from it regularly…your salmon dishes are favorites, and so is that beautiful Upside-Down Banana Cake!! Just wanted to say I’ve been using The Old Reader for my RSS and it’s been pretty good and the switch over was painless. That’s great to know- thanks! You’re so sweet- can’t wait to see what you make! I love your book!! I have made the chopped chicken salad (ohmygoodness good) and the cinnamon roll pancakes and the brunch casserole. So good!! Awesome- glad you like it, and thanks for letting me know which recipes you’ve tried! Those fugdsicles look awesome! I have to go check those out!